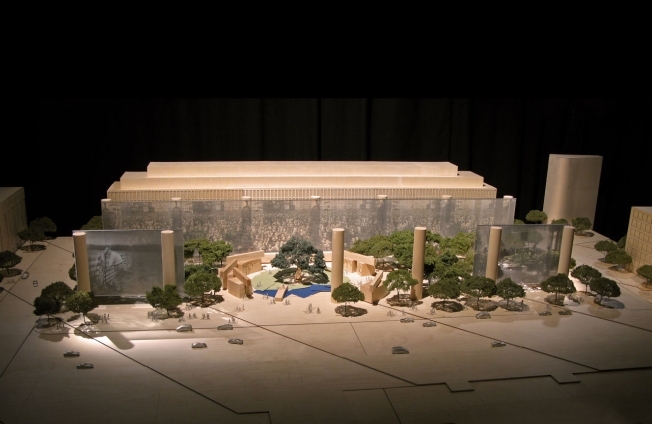 Frank Gehry wants to bring a piece of the heartland into the nation's capital with his design for a memorial to Dwight D. Eisenhower. The acclaimed architect revealed changes to his proposal Thursday. Gehry wants to create woven metal tapestries to frame the memorial with scenes depicting a Kansas landscape with grain silos where “Ike” grew up. First, he must convince a federal panel that must approve the design. Members of the National Capital Planning Commission repeated strong reservations Thursday over the scale of the 80-foot-tall columns that would hold up the tapestries at a site just off the National Mall.